People have been asking me “What was India like?” But the truth is, I’m not sure we really saw the “real” India! We avoided the hustle and bustle of the cities, didn’t take a single 30-hour train journey, never saw more than 5 people on a scooter and didn’t once got drawn into a staring match with an old man – something my other fair-headed friends had all warned about! For us, India was peaceful (mostly). We immediately escaped to a lovely hill-top town in the middle of the countryside and did loads of flying and relaxing which, after a hectic year, was exactly what we needed! Walking out of Mumbai Airport into the heat, we weren’t surprised to meet a wall of sound from car horns. Choas reigned! But after a missed night’s sleep and 16 hours travelling, it mostly just washed over us. Leaving Mumbai in our jet-lagged stupor, we barely noticed as our driver casually weaved in and out between lorries and motorbikes, one moment in the hard shoulder, the next veering across three lanes to find the most efficient route through the traffic. In many countries, I’ve found the driving not to be as bad as the stories, but I’m convinced that if you can survive driving in India, you’ll be able to drive anywhere in the world! Always a fan club on landing! These lovely kids were much nicer than the bands of middle ages men that stood silently watching us pack most of the time! 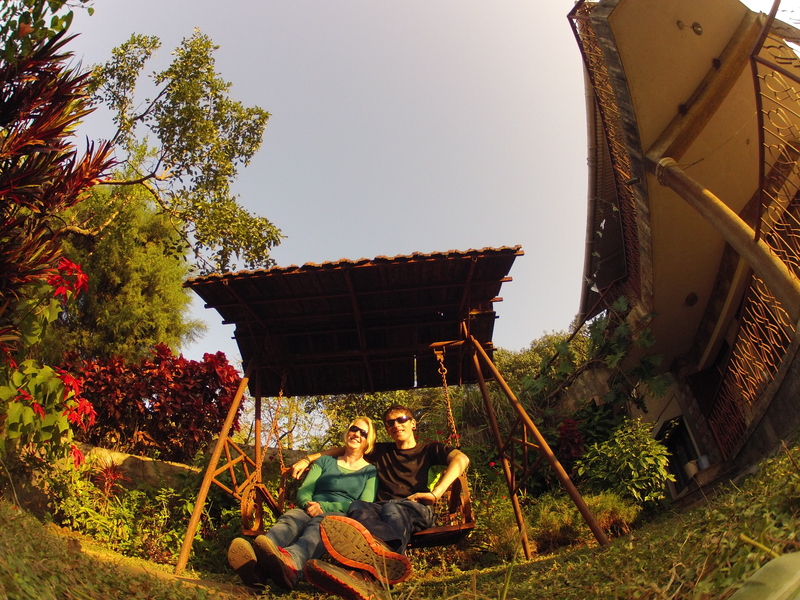 Five hours later, we arrived at Eco Camp Panchgani 150km to the south – our oasis of calm in the Western Ghats mountains. Eco Camp is run by a motorbike tinkering, cheese making, paraglider flying Canadian, Andre, and his wife Meg who, between them, make the place feel like home for the random bunch of pilots who end up there, creating a great sense of community among the pilots from around the world. Staying at Eco Camp makes you feel like you’re in the middle of nowhere, but in reality, 5 minutes walk will have you at the market or local restaurants. Andre will take you to take-off and his local experience beat the unreliable forecasting every time. Top landing is usually an option, so getting home often wasn’t a challenge. 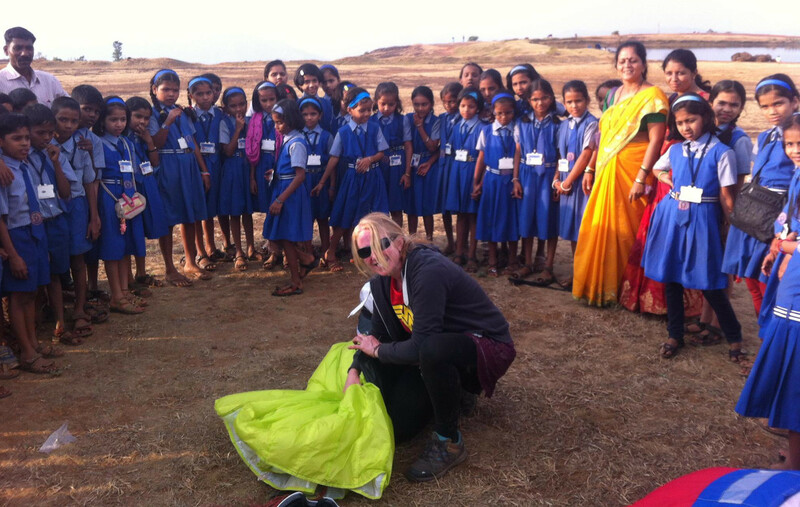 Occasionally the crowds gathering to watch you pack and have their photo taken with you could get a bit much, but for the most part, people were just fascinated, wanting to know where they could learn, where we came from and what we thought of India. 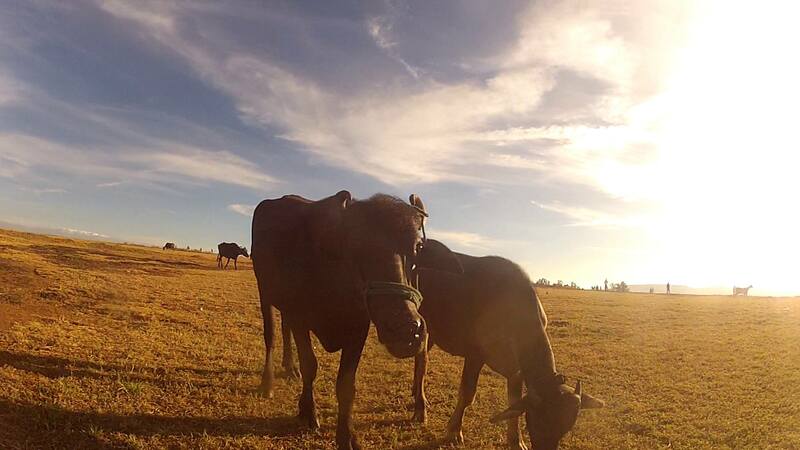 On the occasions when we did land out, we found ourselves travelling through little rural communities – pretty places where people point and wave at the funny looking foreigners passing by, then get back to their everyday lives, tending the land and painting their cows’ horns. Local buses or jeeps were never hard to find – as long as you don’t put yourself somewhere really foolish! Even if you find yourself stranded, like we did one unfortunate day (I thought he had money, he thought I had money, that sort of thing), a taxi back to your door from Wai at the bottom of the hill, costs less than £3 and riding up the hill in our private bright yellow jeep only adds to the adventure! The flying is thermic during the day. Launch sites are good, but often strong and small – particularly when the crowds gather in to watch the spectacle. While we were there this December, almost every day was flyable, but the days are fairly short and there were only a handful of days where 50km+ XC flights were possible. Our final day, however, at the start of January, was the start of a run of epic weather with friends flying several 70-80km flights. Longer flights have been known throughout the season which starts in November. Soaring in the mornings and evenings was also often an option. 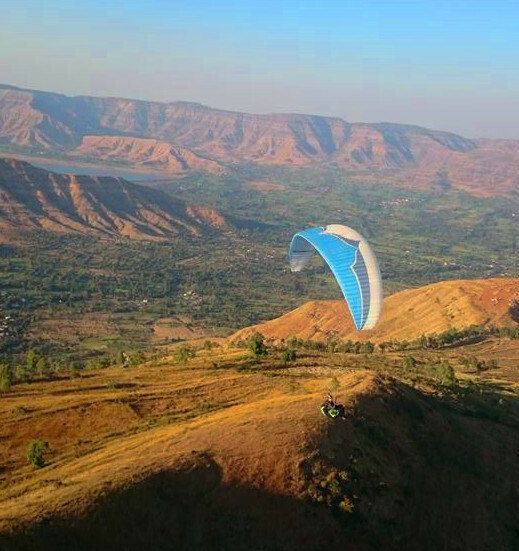 For newer pilots or for anyone needing a bit of hand-holding, Kamshet to the north with its schools and reliable soaring conditions would probably be a better choice. You pay more for the support of the schools, but you’ll probably get more airtime as well. 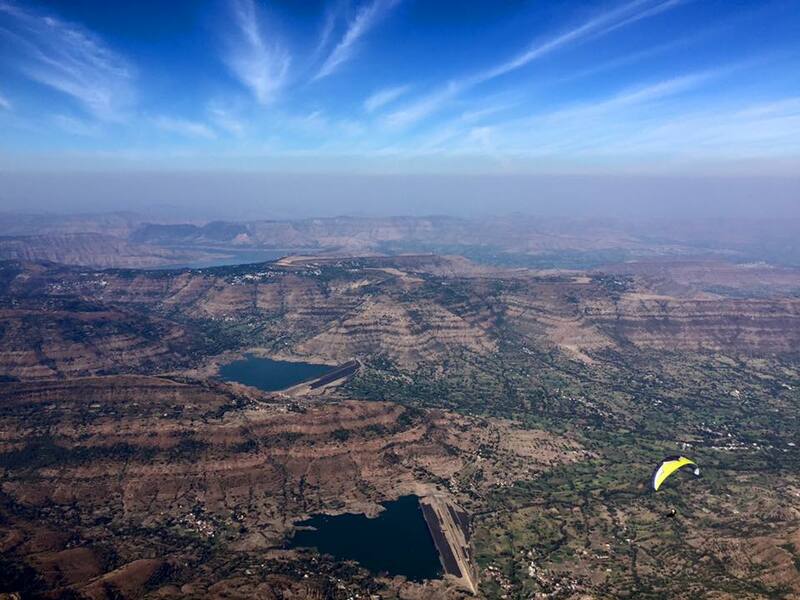 But for more experienced pilots used to flying in thermic conditions, the potential of Panchgani is great – as long as you don’t let the pressure of 60 people watching and cheering from right behind your wing affect your take-off too much! One day, we’ll go back, get a motorbike and explore properly – then I’ll really be able to answer what India was like! In the meantime, I’ll enjoy being able to sit on take-off, taking my time and watching the world go by, without the watching crowds and the cry of “selfie” or “just one photo” ringing in my ears! I’ll also miss the beautiful scenery, the community of pilots and the wonderfully reliable flying with the potential of big distances there for the taking. Good writing Jenni! Andre’s asking if you’re missing going barefoot outside? The “Dream” continues unabated. Stay safe. Maurice.